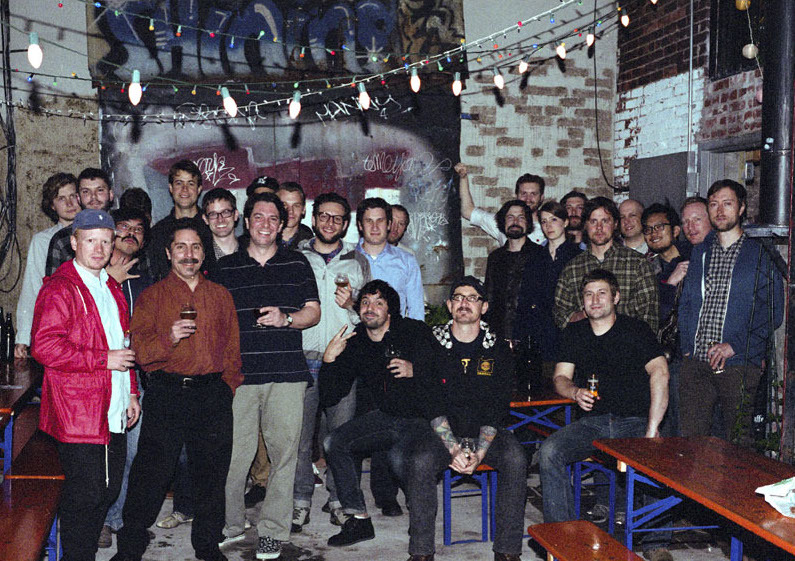 The Brooklyn Brewsers meet in Greenpoint on the second Monday of every month. Our April 2019 meeting will be at Threes @ Franklin & Kent, 113 Franklin Street. Arrive around 7pm, order a beer or just hang out, and we’ll share homebrew a little later. Since 2010, the we’ve met monthly to share homebrew and to learn from one another and from guest speakers about the many aspects of brewing beer and, occasionally, mead, cider, and wine. The Brooklyn Brewsers welcomes brewers from all walks of life and varying levels of expertise. Our members range from aspiring to amateur to award-winning brewers, happy to discuss their techniques and recipes. Join our email list by sending an email to list-join@brooklynbrewsers.com. Include a short message just so we know the message was sent by a real person. Let us know when you started brewing, how you heard about us, or anything else. We’re busier brewing than updating our website, but we’re okay about sending a couple emails a month—it’s low traffic, usually about two reminders/updates per month, and now and then someone sells lightly used gear for cheap. It’s also the best way to keep on top of meeting topics, in-club competitions, and more.